Painter. Photographer. Graphic Designer. Vector Artist. Banker. Rolled into one. Engaged in art for over 30 years. Now teaching art and photography in the Philippines. Belongs to a family of artists, painters and musicians, started to have interest in arts at a young age of 3. 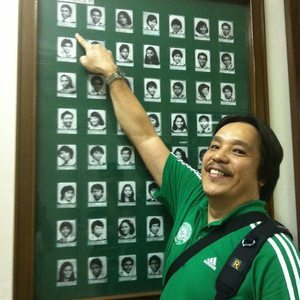 Graduated from The De La Salle University in Manila with a degree in Business Management and pursued a banking career. Arts has always been a passion and has attended several art exhibitions in various countries continuously. Follow me, I follow back. My FB page: Bernie Lira's Art and Paintings. Instagram account: Berne_Ferrari.